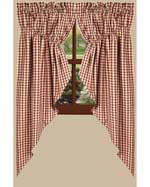 Custom 3/4" metal curtain rod set that includes rod, finials and brackets. 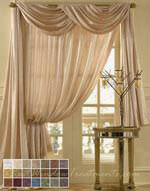 This curtain rod package includes everything for one price. 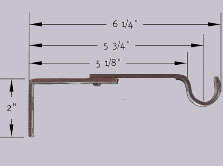 If you are ordering an extra long rod, all necessary brackets are included. (Curtain rings sold separately.) Easy installation and quick delivery. One metal pole - custom cut to your exact size. All recommended brackets according to size of the pole at no extra charge. 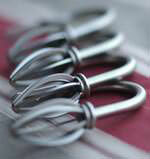 Rod size is 3/4 diameter"
Coordinating rings, tie backs and swag holders available. 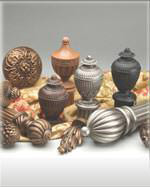 Custom, made-to-order decorative hardware rod set ships in 3-4 days! **PLEASE NOTE: Rods are measured in inches - please use dropdown above to select inches needed and pricing will adjust according to size. To the 1/8 of an inch is only necessary if you are working in tight spaces. 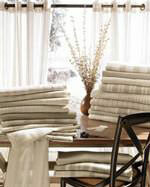 If you do not have any obstructions or space restrictions, you can order in whole inches. 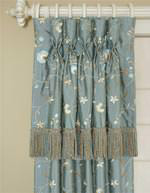 When measuring for your curtain rod, the standard is to go 2-4 inches past your window trim on each side, depending on how far you would like your curtains to stack off of the window. Each set comes with the following number of brackets based on width. 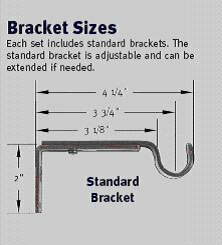 Brackets can be used as a standard size or in extended position as shown below. Photo below shows bracket in extended position. IMPORTANT NOTE: Metal rods have maximum widths that vary with each color. 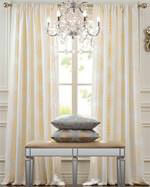 Rods may be spliced together to achieve final length needed in any color. 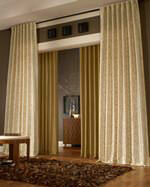 Copper, Satin or Ivory Gold Metal curtain rods over 72" will come as two pieces with a splice. Black and Rustic color rods over 100" will be spliced. A sleeve that fits inside the rod will connect them together and the splicing would occur where you would have a support bracket, so the splicing will be concealed. Normally, your rod would be spliced in the center or divided equally. If you need the rod spliced at specific locations please add information to order notes or call us to place your order. 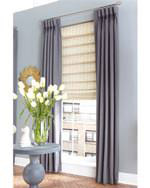 Please call us with any questions or for an even quicker response we are also available by email at customerservice@bestwindowtreatments.com. 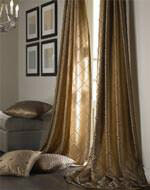 View ourwindow treatment information customer service policy.